-Subtitute for all symbols except scatter and double all wins. -When 3 or more scatter appear, bonus feature will trigger. - All icons win combinations are done from left to right, except for scatter which any . - Scores are calculated from the left side of each betting line. -3 or more "Scatter" appear will start bonus game. After entering the bonus game, player will directly get 8 free spins and x2 multiplier. 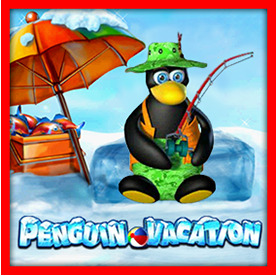 -Fish twice for extra free spins or multipliers. -Players can win up to 33 free spins or up to x15 multiplier. -3 scatter or more during free spin win additional 15 free spin played with the same multiplier as the triggering spin. -More free spin can be won during free spin infinitely. -The player's goal is to guess the color of the next opened card, which will be red or black, Whenever a successful guess is made,will double the prize.